Submitted by Fred on Sat, 04/14/2018 - 12:31pm. I received and email on a Study of Law Enforcement Fatalities: Making It Safer from both Retired Chief Jeff Chudwin, a well known law enforcement trainer who has served as the president of the Illinois Tactical Officers Association and, G.I. Wilson who served 37 years in the United States Marine Corps (1969-2006), is currently part of the Adjunct Faculty Palomar College (Administration of Justice) and is the current Commissioner, North San Diego County Gang Commission and has been since 2011. Submitted by Fred on Sat, 02/17/2018 - 5:26pm. 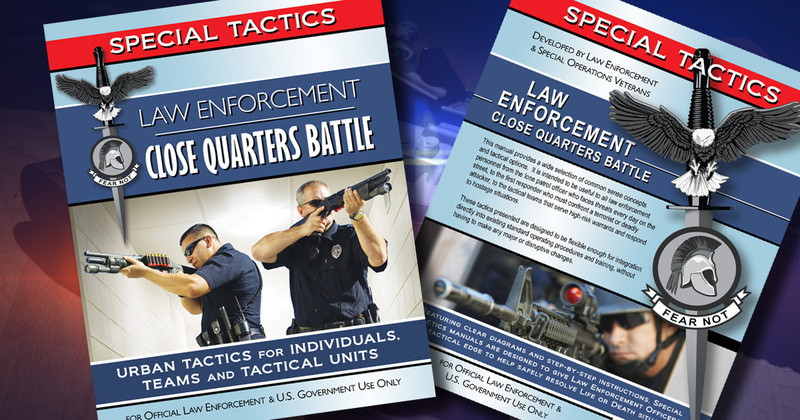 Special Tactics has a great piece up on their site The Biggest Obstacle to Tactical Progress… and How to Beat It which gets into how a lot of wasted time on training days gets lost in the time spent arguing over tactics. Submitted by Fred on Fri, 08/04/2017 - 4:09pm. Friction in decision making s its often portrayed in conflict as a simple concept to understand. Viewing a video tape over and over and 20/20 hindsight, seem to have this impact on those watching media reports or nowadays, officer patrol car or body cameras. But in practice, because of the countless factors that impinge on it, dealing with conflict becomes extremely difficult.